At Sacred Heart, we aim to provide our children with a broad and balanced curriculum, one which inspires them to become life-long learners. We follow the "Cornerstones Curriculum" where classes follow their own topic which include a variety of fun, inspiring and memorable activities. History, Geography, Art and Design and Technology are all taught through the topic. Wherever possible, Science is taught within topic too, but to ensure coverage of all aspects of the science curriculum we also have regular Science Weeks and Investigation Days. Pupils in Key Stage 2 classes also learn Spanish. We teach RE through the 'Come and See' scheme of work. This scheme is followed throughout the Diocese of Hallam. We also plan and teach different faiths throughout the year. Literacy is taught on a daily basis and it is often linked to our topics. This provides purposeful opportunities for our children to write while continually developing their literacy skills. 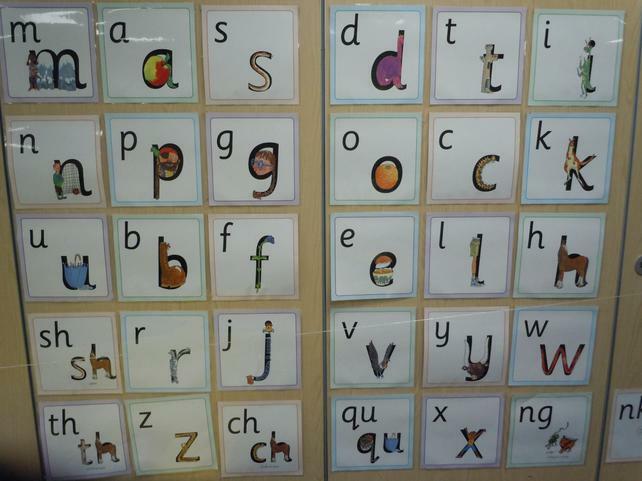 Phonics is taught daily in EYFS and Key Stage 1. We use Read, Write Inc as a basis for our phonics teaching. Children learn to read and write sounds and apply their knowledge within their work. The sessions are fun and interactive to enhance the learning experience for our children. We aim to further engage pupils in their learning by taking them on educational visits, again linking to the topic. We appreciate the important role our families play in the education of our pupils, so we try to involve them as much as possible. Family members are invited to join us at Mass, for class assemblies, and also for topic afternoons where they can join their children for an afternoon of fun learning! Maths is taught daily in school. We use the Maths Hub as the backbone of our curriculum, adopting their calculation policy and methods for developing the Mastery approach, which is based on children gaining a greater understanding of maths.